We are a leading Manufacturer of Gas Engine and Single Cylinder Research Engines And Compact Test Bed from Chennai, India. 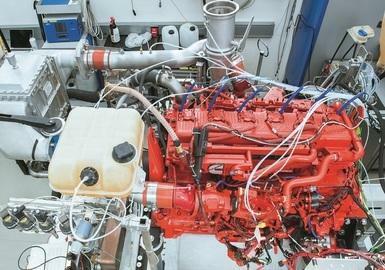 AVL offers a variety of gas engine solutions that are compliant with emission and CO2 legislations. They are market-ready, have attractive product costs and provide best fuel efficiency. Which high-performance solutions meet upcoming Greenhouse Gas & CO2 regulations? How can my gas engine achieve a comparable performance to Diesel engines? What makes high-powered gas engines reliable and durable? Is there a solution with an ROI within a few years?AVL’s solutions with regard to gas engines development range from the initial concept definition, engine design & analysis, software & functions development to engine development & validation. Working with our single cylinder research engines offers the significant advantage that the prospects of success are tested under realistic engine conditions long before new concepts are applied to the full engine.